Pine trees shed their inside needles every fall, and sometimes these needles lodge among the branches. You may notice some crispy brown needles 'inside' the tree, clinging to the branches. This is normal for an evergreen; it is not the sign of an 'old' tree. 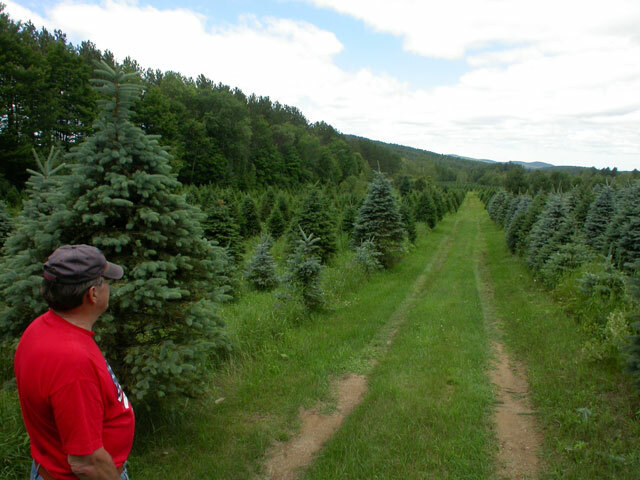 Also, our pre-cut trees are cut fresh daily. 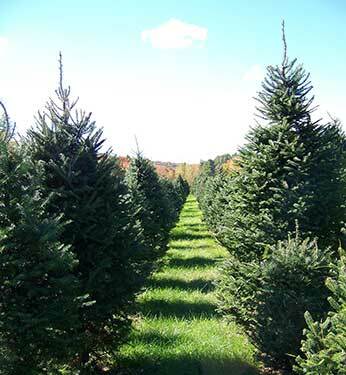 Christmas trees can absorb up to a gallon of water per day. A lot. A well-watered tree is much less of a fire hazard and will scent your home much better than a dry one. So, check and refill the water in your tree's stand at least daily.